I saw this adorable tape on Pinterest today and was intrigued. My kids would LOVE to make their own roads, highways and neighborhoods to drive around on. It was also be super fun to map out our own community and have the kids add local landmarks and their homes. "I HAVE to have this!" I thought to myself. THEN I clicked on the picture to find out how to buy it. And people, it costs OVER 40 DOLLARS FOR ONE ROLL OF TAPE! Are you kidding me? 11 British pounds, plus $29.99 for shipping. ARE THEY OUT OF THEIR EVER LOVING MINDS? I don't know, but I could think of about 1,000 better ways to spend $40 (like on that adorable dress that has been calling my name at Loft). 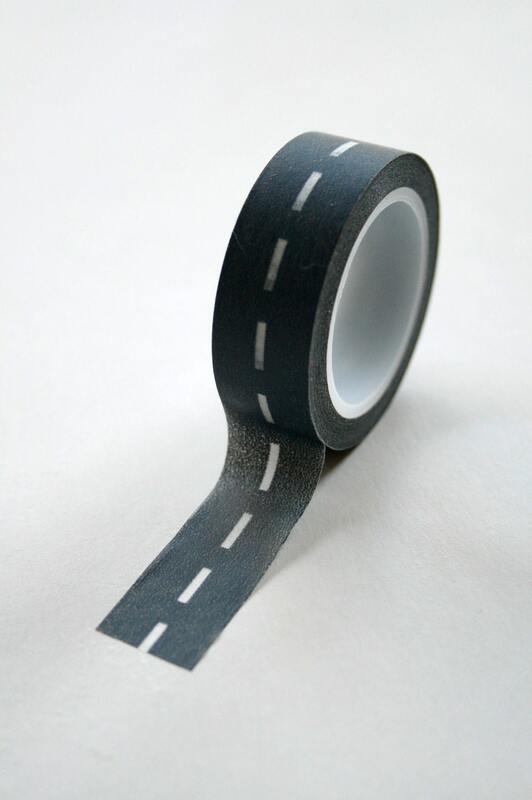 So, being a crafty teacher who lives and dies by a good bargain, I started researching road tape that doesn't cost an arm and a leg. Here is what I found for less than $6! It is a little thinner than the other tape... 15 mm (or .6 inches for those of you who can't automatically do metric conversions in your head... not that I had to look it up or anything :). I am so pumped to put this baby in my block area. I think it's going to make things a whole lot more interesting! Wow, those tapes and ideas interest me as well. I am sure those kids in my Enrichment Class for Kids would love to play along. I do wonder though if those tapes are easy to get off.